Living through the post-grad months is pretty tricky... There is all of this excitement building up to graduation, all of those cards that tell you to "chase your dreams" and "reach for the stars" and all of the other cliche advice that Hallmark can muster up (I’m not sure what they really mean, either). And then there are the questions... From parents, friends of parents, grandparents, friends of grandparents, strangers on the street... like, What are you going to do with that degree? and Have you found a job yet? and When are you planning on saving up for retirement? When I was 23 and facing these things it was just kind of like, Geez, can’t I just have 5 minutes to enjoy the fact that I survived Finals and I can sleep in tomorrow?. The answer is no. 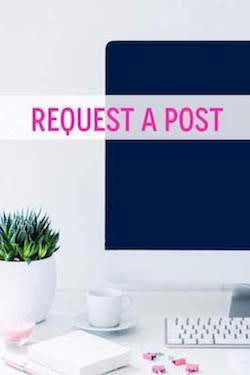 People want to know your life plan and they want to know now! 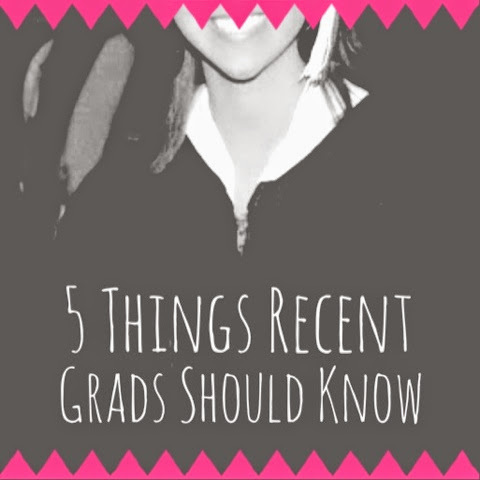 But before you start feeling overwhelmed with all of the things that graduation brings, here are 5 little pieces of advice that I really wish someone had told me when I was a recent grad! 1: Be prepared to feel a little let-down after you graduate. College is just such an awesome experience; you have so much fun, you work so hard, you look SO forward to graduating and moving on! It’s like this huge milestone in your life that is really difficult to follow. So be prepared to feel a little bummed. The good news is that feeling this way is super common (1 in 4 graduates). And the other good news is that it only lasts a short amount of time (1-5 months). 2: If you don’t have experience in your field, it might take you a few months to find a job. As far as employment goes, experience trumps education EVERY. TIME. If you don’t immediately get hired at your dream job, don’t take it personally. It takes most graduates 3-9 months to find a job. 48% of graduates choose to move back home after college. But guess what? Over one million people graduate from college each year. That means a LOT of people are going through exactly the same thing you are right now. So, you are definitely not alone! 3: It might seem like everyone but you has it all together. They don’t. Even though it may not seem like it, most people are pretty much in the same boat at this point in their lives. Just relax. The perfect job will come along. The important thing to remember is that this all about your attitude and how you present yourself. It may seem like everyone is landing awesome jobs except for you… but just keep trying! Does Everybody Have a Job But You? 4: It is ok to hate doing the thing you went to school for. I never changed my major in college. I loved my major. I assumed that would love doing it as my career, too. But when I landed my first “real” job out of college, I really and truly hated doing it in “real life” (I was a paralegal, by the way). Your major is not some permanent life branding. The important part is to realize that you can apply aspects what you did learn from your major to any job! 5: There is no shame in switching careers. New jobs are learning experiences and they are meant to be hard. But there is definitely a difference in having a tough time adjusting to “grownup life” and being in the wrong career. You should not be counting down to retirement 2 months into your new job. And if there is ever a good time to make a career change, it’s now! So what if your education is in something different? Find out what it would take to do what you love and make it happen! 25 years is a long time to be miserable! Whether you’re dealing the frustration of job searching or the sadness of graduation, don’t worry... Everything will turn out the way it is supposed to! Do you have any advice/questions to add to this?